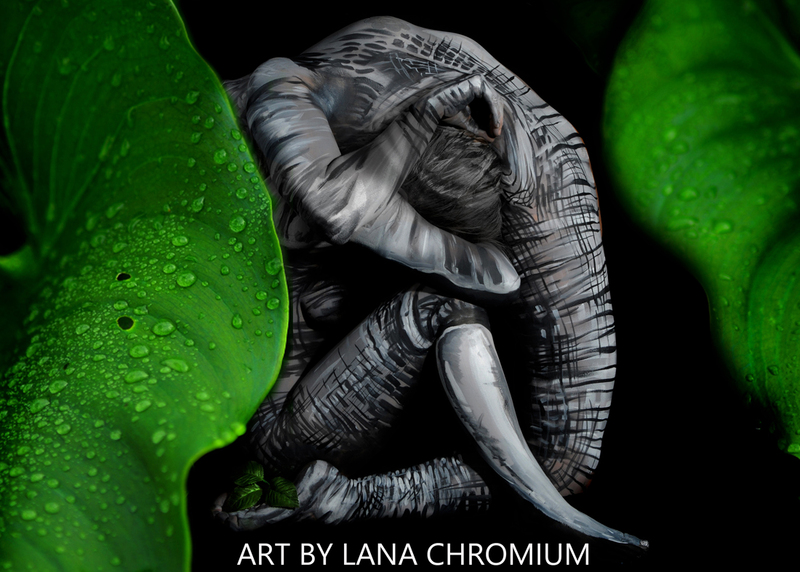 All images appearing in the Bodypainting and Fine Art by Lana Chromium ( www.lanachromium.com) website are the exclusive property of Lana Chromium and are protected under the United States and International Copyright laws. The images may not be reproduced, copied, transmitted or manipulated without the written permission of Lana Chromium. Use of any image as the basis for another photographic concept or illustration (digital, artist rendering or alike) is a violation of the United States and International Copyright laws. All images are copyrighted © 2009-2018 Art by Lana Chromium.